The Hawaiʻi Department of Transportation in collaboration with Hawaiian Airlines is revising the international passenger check-in operations at the Daniel K. Inouye International Airport. Last year on Dec. 19, 2018, Hawaiian Airlines passengers traveling non-stop from Honolulu to Japan began and will continue checking in at Lobby 4 in Terminal 2. Passengers traveling to South Korea, Australia, New Zealand, Tahiti and American Samoa will continue to check in at Lobby 3 in Terminal 1 instead of moving to Lobby 4 as previously announced. The New Year is bringing about some further changes at the Honolulu airport. 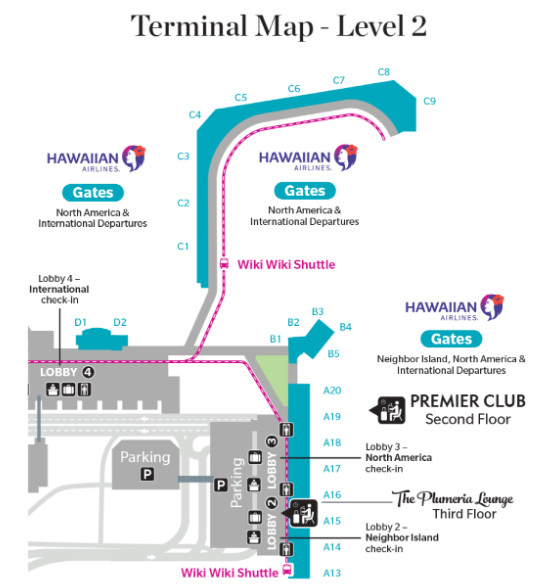 Beginning Jan. 9, 2019, the check-in for all Hawaiian Airlines neighbor island flights will move from Lobby 2 to Lobby 3 in Terminal 1. 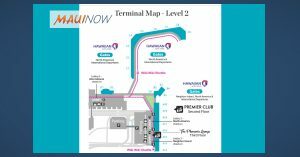 Check-in operations for Hawaiian’s North American flights will remain at Lobby 2. Terminal and roadway signage reflect these changes and Hawaiian Airlines Team Kokua volunteers will help direct passengers to the appropriate lobby during the transition. The move was designed to relieve congestion in Terminal 1, especially during the peak hours between 10 a.m. to 2 p.m. daily. Moving the check-in for non-stop Japan flights to Lobby 4, which accounts for about half of Hawaiian Airlines international travelers, has helped ease congestion. HDOT will continue to assess and coordinate additional lobby improvements prior to making future moves.